Venetian Blinds offer privacy and sun screening with an element of security. 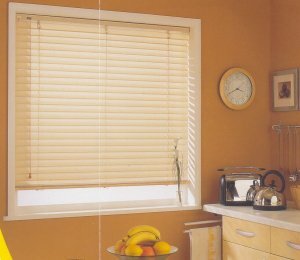 From the traditional 50mm and 35mm ranges to the chic, colour matched25mm and 16mm, the venetian blind can satisfy the demands of any home. Offered in a choice of metal or wood, and with an excellent palette of colours, our Collection, with its clean and modern styling, will satisfy all your requirements from the decorative to the functional. The versatility of venetian blinds is recognised in their use as room dividers and other speciality installations such as sloping 'Velux' type windows or within office partitioning.